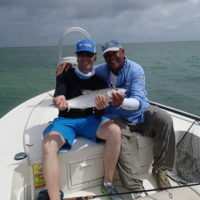 Captain Diego Cordova can take you to where the elusive and stealthy bonefish roam in search of food such as crustaceans, small eels and shell fish. 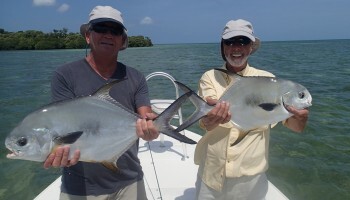 These translucent mirrored fish transit some of the most beautiful shallow waters that you will ever set eyes upon. While in search of these ghostly, well-camouflaged fish, you may encounter and do battle with the most feared enemy of the sea – the eating and hunting machine known to man as the Shark! Yes, you can be fishing for bonefish and encounter many species of shark including the sand, bonnet head, black tip, lemon, dusky, spinner, tiger, and even one of the most feared in these waters, the great Hammerhead, and the monster Bull shark, which can reach lengths of up to 15 feet in the deeper waters of the channels and bridges connecting our islands. 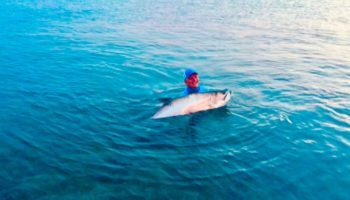 It is common to have these sharks come and attack the fish when they get hooked, and it takes skill from both the angler and the skipper to avoid losing your catch to these predators. The experience is unforgettable and the show is explosive just inches away from the boat. Sometimes the fish wins, other times they end up being lunch, but the angler always walks away with an unforgettable memory and a bond with the wild not found anywhere else. 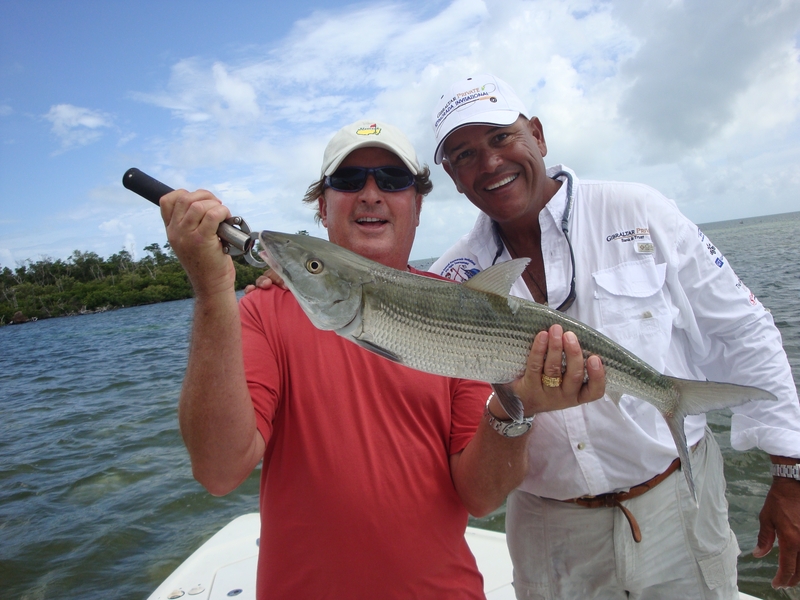 Just the fight of a screaming big bonefish upon being hooked is enough to burn the drag on any reel of low quality. Many times we have had to release from an anchored position to chase the fish down because the 200 yards of line in the reel have come near the end and the fish won’t stop running! 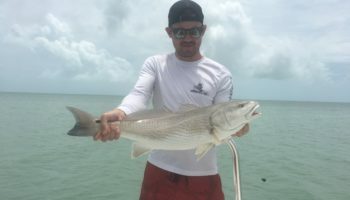 Bonefish pound for pound are the hardest and toughest fighting fish in the sea. They are very wary and skittish because the bonefish feed in such shallow water. It takes stealth, proper casting, and a good technique to be a successful bonefish fisherman. But with a little practice even the novice can acquire enough skill to be successful at bone fishing. 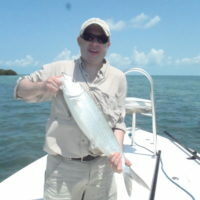 Bonefish can be found throughout the year in Marathon and the surrounding flats of the Florida Keys. 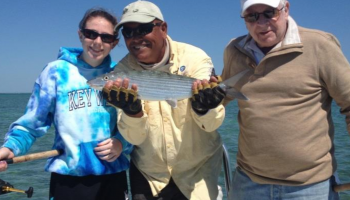 Bonefish are susceptible to cold fronts that come our way during the winter. 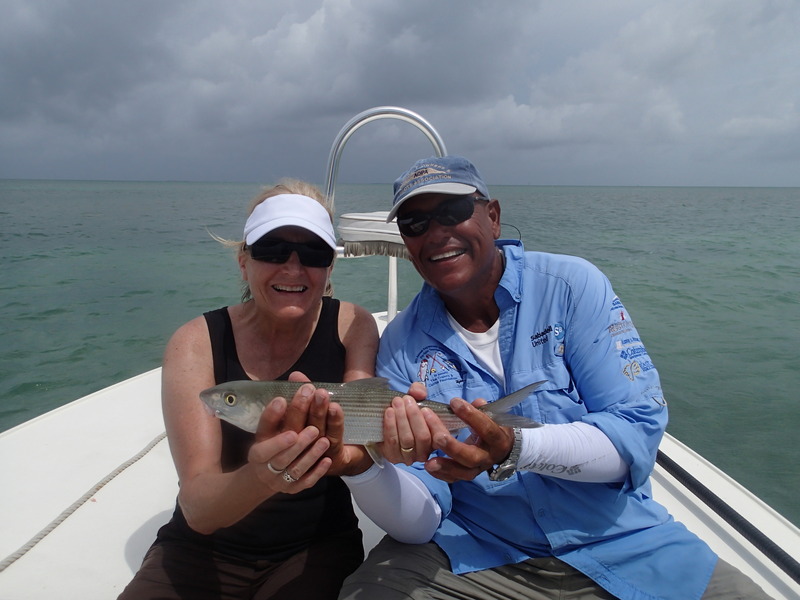 A good water temperature for bonefish is 70-85 degrees. The best part of the year is March through June and September through November. The “off” months are December and January when the water is too cold and July and August when the water is too warm. 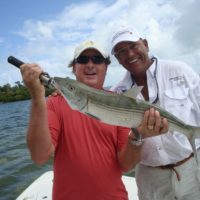 This is not to say that you can’t find bonefish during these months. You certainly can, but the bonefish are in a little deeper water.